Relax, enjoy refreshments and attend complimentary lectures. The idea that what you eat affects how you feel, is generally accepted by many people, and also well supported with research. However food and nutrients are rarely considered as a key strategy for supporting mental health. This talk will show you specifically HOW foods and nutrients support or compromise the way your brain works, and how you feel. You will learn the key foods and nutrients to use – or avoid – for improving mood, managing stress, and addressing anxiety and depression. 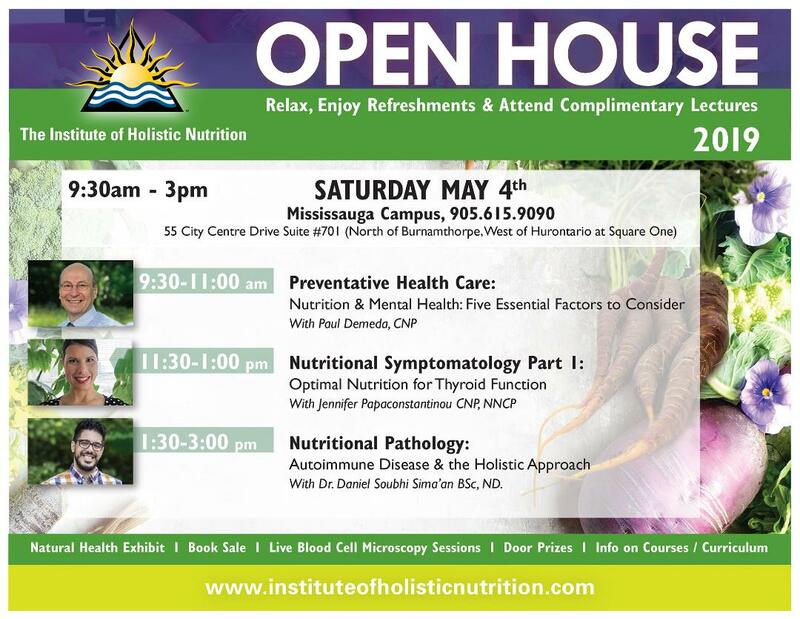 This lecture will include a discussion of key nutrients required for thyroid hormone production and function. We will go through which external factors may affect thyroid function, which will include learning about heavy metal exposure and thyroid health. Thyroid function and your teeth – is there a connection? Jennifer will make the connection around dental health and the thyroid. Her explanation will include possible symptoms of thyroid dysfunction. Functional testing will also be discussed in detail. Attendees will learn why testing the TSH (hormone) may not be enough to accurately diagnose. She will also include which tests are recommended. The lecture will conclude with nutritional recommendations to support optimal thyroid function. We are often inundated with words such as inflammation, autoimmunity, gut health etc. With all of the information out there we need to consider how to critically analyze, understand and apply what people are really saying. In this talk, we cover from a holistic perspective the basics of the human immune system, how it works and how diet, lifestyle, stress and mental health all have profound effects on our immune health. We will begin by discussing the building blocks of the immune system, the various ways in which our body deals with pathogens it encounters on a daily basis. After this we will look at the ways in which this system can falter and how this appears in a personal and clinical setting. Lastly we will examine the relationships and therapies that have been scientifically proven to be useful in the prevention, treatment and management of autoimmune diseases. All of this will be discussed on the basis of scientific evidence, published peer-reviewed research and will be followed with a Q&A if you have any questions or thoughts. Specific conditions covered will be celiac disease, thyroid disease, rheumatoid arthritis, psoriasis and more!